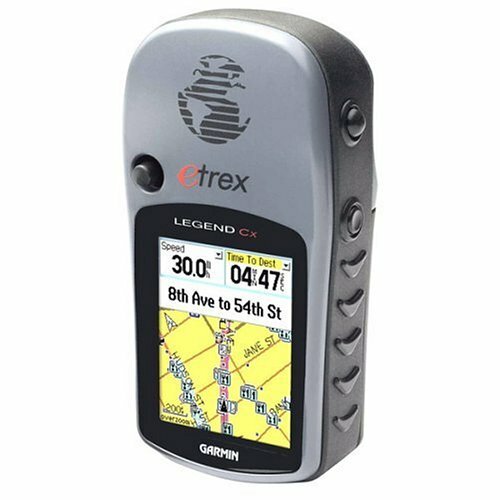 The eTrex Legend Cx is a versatile, pocket-sized handheld mapping product ideal for both marine and outdoor use. It provides a bright, sunlight-readable color TFT display and includes a 32MB microSD card for storage of optional map detail. Garmin preprogrammed microSD cards can be purchased, providing detail for Topo, BlueChart, Fishing Hot Spots, Minnesota LakeMaster Promaps and European streets. The 64MB microSD card can also be loaded with data from MapSource products like BlueChart, U.S. Topo 24K, Minnesota LakeMaster Promaps and City Navigator. Fast USB connectivity makes loading charts and maps quick and easy, while navigation instructions can be shared with repeaters, plotters, and autopilots using NMEA protocols through the dedicated serial port.